I am having a friend over for a little breakfast this weekend. Mmm hmmm, kind of a practice run of recipes for next week with my mom. (I'll share pictures of the food and a few other little decorations I made later!) We're going to celebrate springtime, (even though it snowed here yesterday...)and friendship, and oh yes, my new oven! 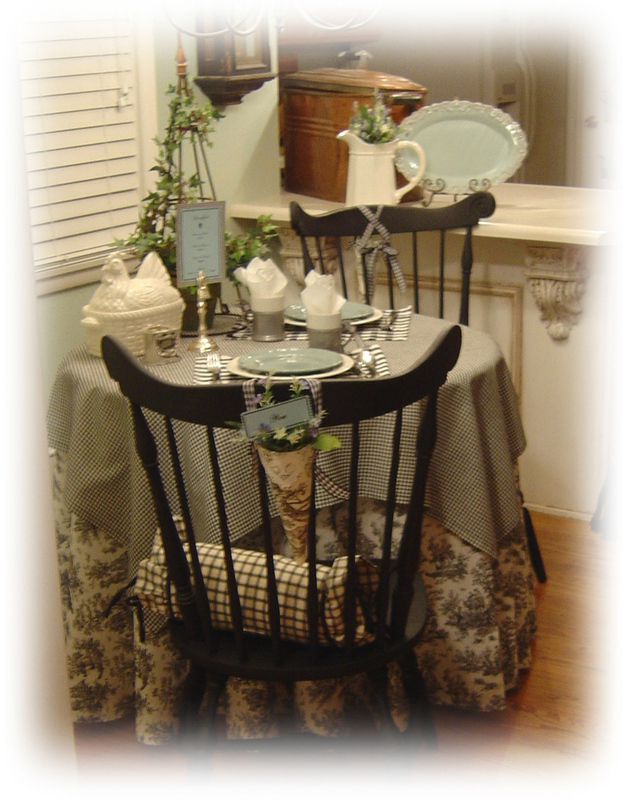 Oh yes, the Sewing Queen outdid herself this week, sewing a toile tablecloth that goes all the way to the floor and a table topper too. (I pinch myself each time I look at the tablecloth set up, 'coz I can barely believe it is mine!) I feel so pampered, and loved. Deeeee-lightful! 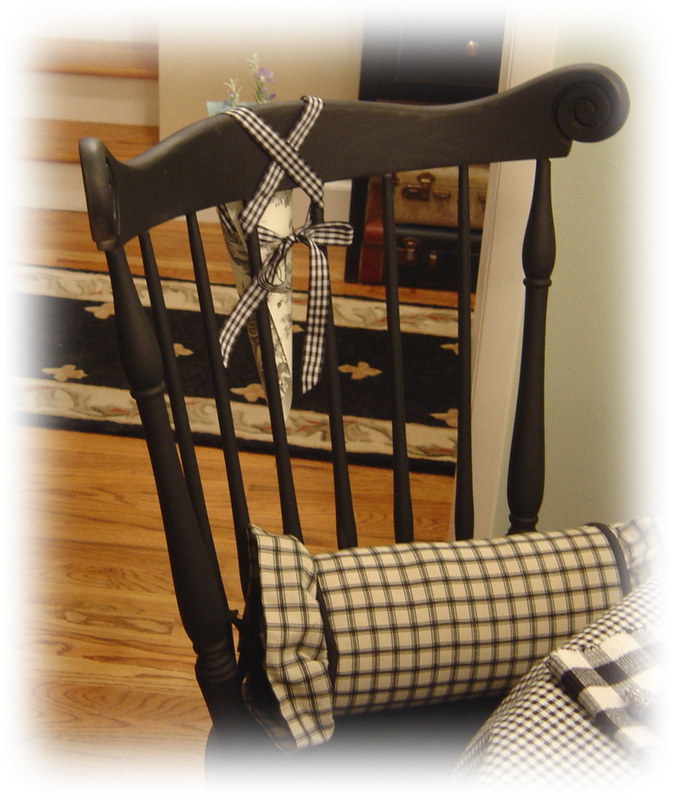 I had two old chairs in the garage, and I painted them black to go along with the hutch and the fabulous toile tablecloth. Previously these chairs were painted white and were for sale in my shop, but never sold...now I know why. They were meant to go right here in my little kitchen nook! 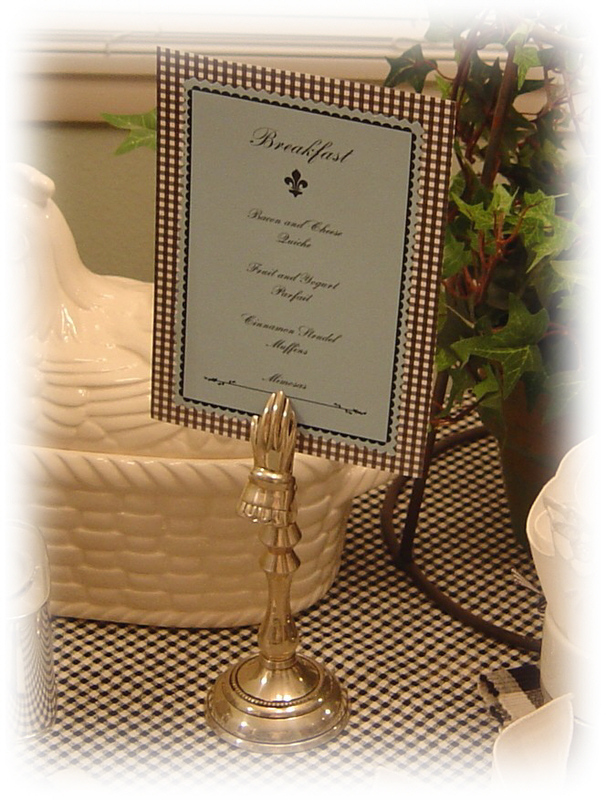 I got the menu card holder in dear little Camas last weekend, and I made the toile cone place card holders myself...do you like them? One says "Me" and the other says "You". The cones were fun, easy and free to make, plus I can re-use them over and over. 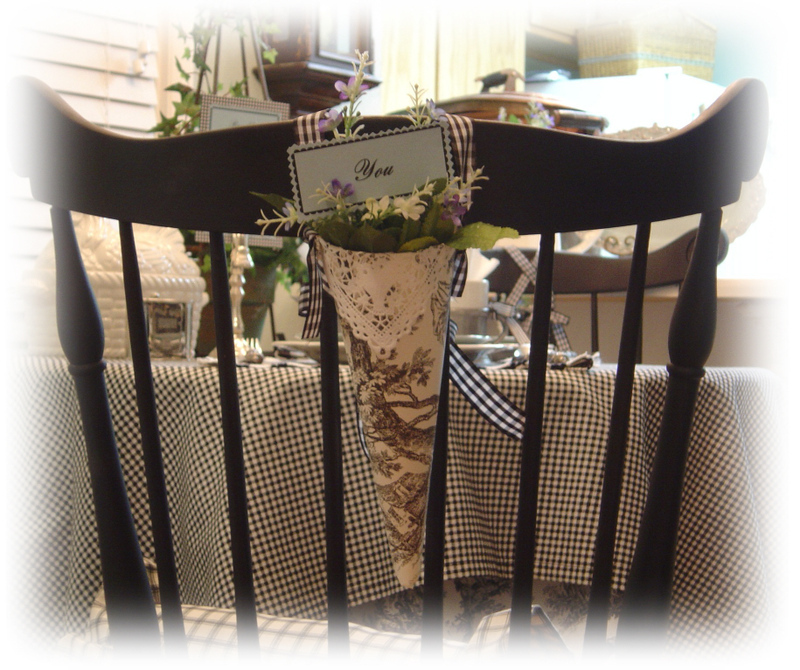 They're made from old toile wallpaper, a paper doily, and some gingham ribbon from my large supply of odds and ends ribbon left over from my last house. 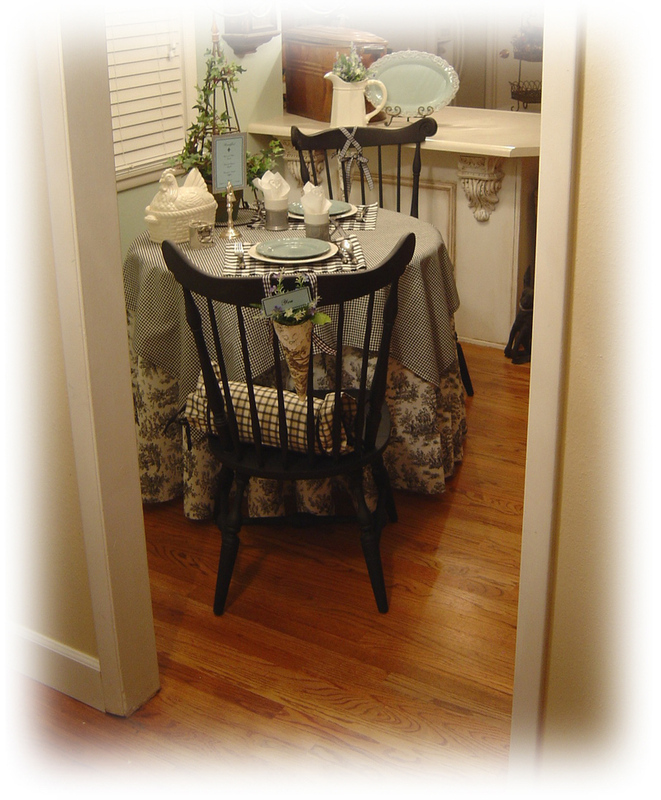 I am really enjoying all of this nesting I'm doing in my sweet little cottage on Norman Drive. It truly has become my home, sweet home.